Using Smart/Stupid balls, a scientist and a Certified Demo Investigator (CDI) investigate the relationship between molecular structure and “bounceability.” The audience participates in the investigation through call and response, Q&A, and a physical dramatization of the polymer structure. Pre- and post-lesson assessment is embedded in the show. Fusion Science Learning (FSL) is a STEAM outreach program that uses secrets of theater to create outreach shows that actively engage children in learning science. Performed by Fusion Science Theater and other outreach and museum groups around the country, the unique combination of science, teaching, investigation, and story increases children’s interest, confidence, and understanding in science. We even have the data to prove it. 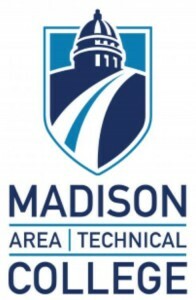 FSL is funded by the National Science Foundation and partially sponsored by Madison College. This program received national recognition in the media and the FSL director, Holly Walter Kerby, was named Community College Faculty of the Year in 2012 for her work with the project. Join us in the movement for learning-focused, evidence-based outreach!